Mobile devices are now the most used gadgets for video game play by US children ranging in age from two to 17 years old, according to a Kids and Gaming report by industry tracker NPD. Some 63 percent of children in that age group play games on mobile devices such as smartphones while the share opting for play on home computers slid more than a fifth during the past two years to 45 percent, NPD reported. "In the past, the computer was considered the entry point for gaming for most kids, but the game has changed now that mobile has moved into that position." He reasoned that the change is likely due, in part, to the fact that families are increasingly using smartphones and tablets for tasks formerly tended to on desktop or laptop computers so children adapted to new fields for play. 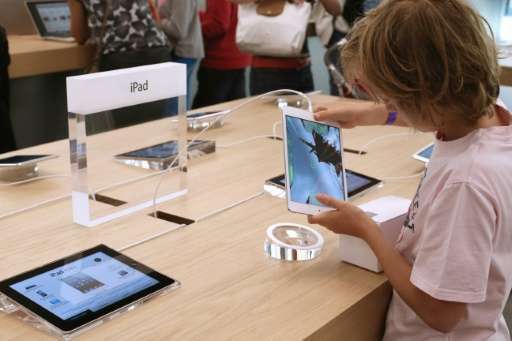 The decrease in children playing on consoles was less than the drop seen for using computers, and video game consoles remained popular in the nine to 11 age group, according to NPD. However, gaming on new-generation consoles was reported to be on the rise, hinting that the coming wave of blockbuster titles could ramp time children spend on the devices.